What exactly is porcelain and why should you consider it for the flooring in your home? 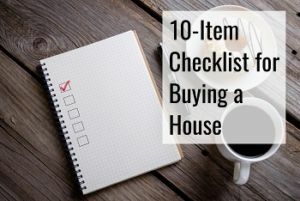 We’ll walk you through everything you need to know before making up your mind about the material, as it provides a lot of benefits to the homeowner, it’s a material you might want to look into. When you’re ready to move forward with your project, we’d also be more than happy to help connect you with tile companies in your area to help perform the work and provide you with competing quotes to make sure you don’t end up overpaying for the project either. The service is completely free for you to use with no obligation. What is Porcelain Floor Tiles Made of? While ceramic floors are still more popular than porcelain, porcelain is surely a material that has its merits. The production process of the two materials is in fact very similar. Both materials are made from natural materials, including clay and a kiln is then used in which the tiles are placed under very high heat. No matter if you choose porcelain or ceramic, you’ll be getting a type of floor that is known for being durable. You might even experience that you hear people using the two names interchangeably, and if you ever speak to someone who is in a situation where their commission relies on you purchasing the material, you should know the difference too as they may be overstating the characteristics of the different materials wanting to sell you the pricier option, while in fact it may not be the best option for your project. These are just some of the many uses of porcelain. Porcelain is being used for its many decorative and functional purposes so when you’re having a sink installed in your home, it could easily be that you’re considering a porcelain option since that’s a very popular material to go with. They’re obviously not the only materials that are being used in these cases, but it’s definitely a popular material to look into. To better understand if porcelain tile flooring is the right choice for you, you will need to understand its pros and cons. 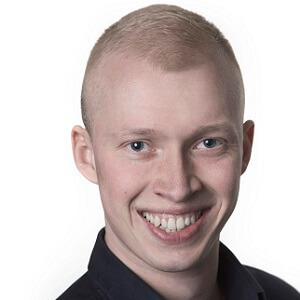 You probably already know that you’re dealing with a very strong material, however what are the other characteristics it has going for it, and more importantly maybe – what are the drawbacks? We’ve already mentioned how it’s a material that is very much loved by interior designers for its beauty, however it doesn’t come without its challenges. It’s durable – you’re definitely talking about one of the most durable flooring materials, when you’re considering porcelain. The solid and dense material is effective when dealing with different types of impact stress. Some types of this material can even be used in industrial settings where it’s exposed to heavy machinery. Repairing isn’t too difficult – While the correct grade of material will significantly lower the risk of breakage of the tile, if it does happen, the individual pieces can be removed and a new one can be laid to replace it, and you won’t ever notice that there were problems with the floor. The only thing you will want to make sure is that you keep extra material around after the installation because it might be difficult to find the same tile 10 years from now when one cracked after you dropped something heavy on it. The expected lifespan – other materials may have decent lifespans, but the one of porcelain is simply significantly better. 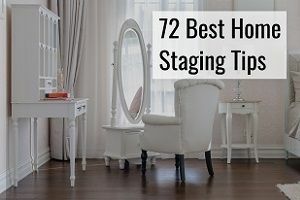 What that means is that you won’t have to replace it in the foreseeable future as you might experience having to if you rather had vinyl flooring installed. Fire-resistance – this material was made in a kiln that was more than 2,000 degrees hot. It won’t burn. Period. That also means that when fire safety is of your concern, this is a great option to go with. Stain and water-resistance – while it is still a porous material, it’s significantly less porous than usual ceramics and that helps make it both stain and water-resistant too. 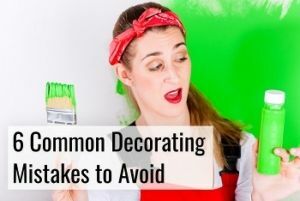 By having a glaze added on top of it, it only becomes more stain-resistant too, and it helps protect it even against things that would stain other materials. It has also undergone rigorous testing, at least if it was properly classified as porcelain. Minimal maintenance – the fact that it’s both stain and water-resistance also help in making this material incredibly low maintenance. A damp rag is usually enough to remove anything that has been spilled. When you make sure to sweep the floor, you also help in removing debris that could otherwise have an abrasive effect, thereby protecting the surface, although such abrasive debris would be significantly harsher on other materials such as laminate flooring. With so many advantages, it’s also worth mentioning the cons associated with porcelain tile flooring. Difficult to know if you’re in fact getting the real thing or not – the title “porcelain” is not regulated, and any ceramic manufacturer can call their material porcelain. Certifications are voluntary and a lot of imported tile isn’t correctly classified, and if you’re buying material that was incorrectly classified, you obviously won’t be getting all the same benefits and durability that you’d be expecting. We’ll talk more about these classification standards later on in the article. The cost – you don’t go for this material if you simply want to have something cheap installed in your home. For that, there are much better options to consider. When you factor in its durability, that is when the material becomes interesting to have installed since it will basically outlast anything else. Weight – tile flooring isn’t traditionally light, and porcelain is definitely no exception. In fact, the material is really quite heavy and that creates certain challenges during the installation. Cutting it is very difficult and requires special tools too – because the material is as dense as it is, it requires special tools to cut it that won’t be necessary for cutting things such as hardwood flooring. The difficulty in cutting the material also poses problems when intricate designs are made. Difficult to install – you can probably imagine that moving these heavy tiles around is physically demanding and not too easy, especially if you’re not used to doing this sort of work. 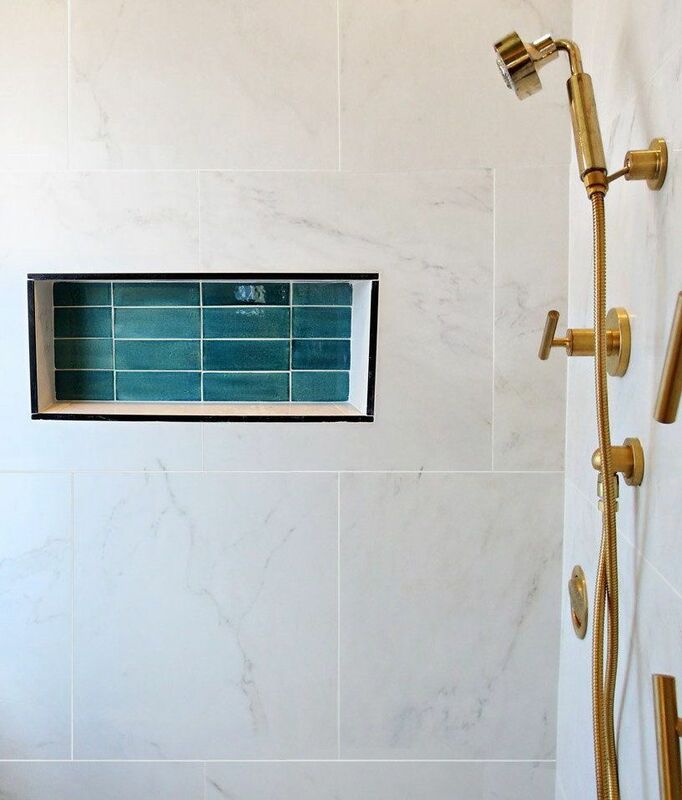 Since it’s difficult to cut it precisely, getting those perfect lines that you want to make your bathroom stand out takes professional expertise. 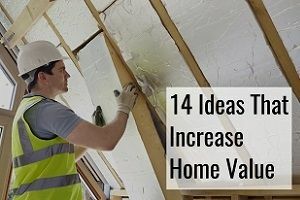 If not, you might easily end up wasting precious material, and you might soon find yourself paying more for a DIY job than had you hired a pro. The grout doesn’t have the same advantages – we’ve been talking about how strong your porcelain is, however the problem is that you’re not just installing that. You’re also installing grout to go in between the tiles, and this grout is still exposed and is porous. To keep it from causing problems, sealant will need to be applied, or you’ll soon start having problems because of water seeping through the cracks. When you’re having porcelain installed in your home, it’s generally recommended that the work is done professionally since tile, and porcelain in particular, is a material that isn’t easy to handle. While its durability is an advantage when you’re walking on it, it doesn’t make the installation easier. Because it’s so dense, cutting it becomes very difficult, and that is even more the case when you’re hoping to have intricate designs put in place that require that the tile be shaped in custom ways such as with rounded edges. If you insist on doing it yourself, we encourage you to go with ceramic instead, although even with that material, we recommend that you make use of ceramic tile installers to have it done properly. Despite what you may think, a DIY job will not look as good as one installed by pros with many years of experience in their field. How Long Does Porcelain Tile Last? Get the right material and take care of it appropriately, and you will see the material last for a very long time. Porcelain is the same way and it too can definitely last a long time. If you get glazed ceramic tile, it’s not uncommon for it to last more than 50 years. Porcelain being more durable than that, you can expect it to last even longer under the right circumstances. However, it should be noted that these materials don’t handle freezing temperatures very well, and if stored improperly or installed outside, freezing temperatures could be what causes the material to crack and get ruined. Whether you should go for either the unglazed or glazed porcelain tile depends on what you will be using it for. 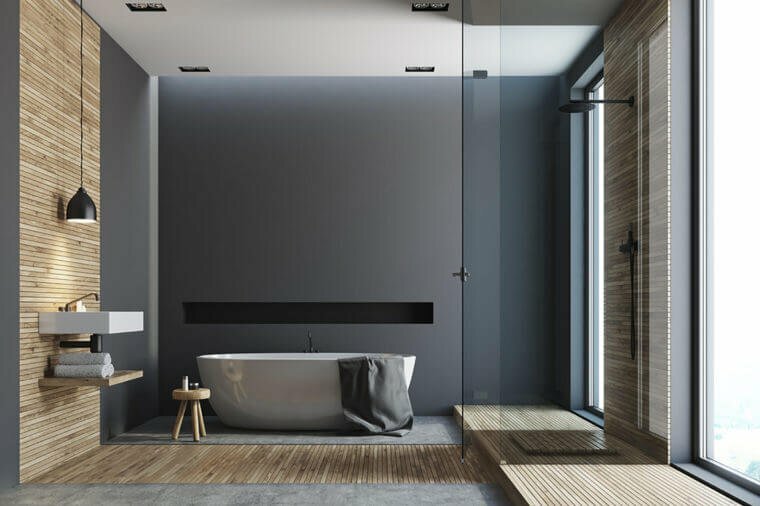 The unglazed ones are better when it comes to slip-resistance, and they’re therefore sometimes preferred by homeowners for things such as shower installations and around pools, as those areas tend to get wet and humid. Since they’re so hard to start off with, they’re also less prone to getting scratches, however if you get ink jet porcelain, the glaze is added to protect the image that was created on top of it. When color and intricate designs is what desire, you might prefer having the glazed option that comes available with beautiful finishes. It’s always a good decision to discuss your choice of tile with a professional to make sure you’re getting the attributes you’re looking for. During the baking process, the moisture is removed from the tile, but with that being said, there’s something else you also need to look out for when you’re out buying tile. That is the grade of the porcelain tile because they also help determine the appropriate purpose of the tile and what it can be used for, and what it definitely shouldn’t be used for as a consequence. The PEI scale is used to measure the durability of the material and as a consequence what purpose the different tile is able to function as. Inaccurately choosing the grade and you’ll quickly find yourself surrounded by broken tile. Grade I – this grade is only intended for wall purposes and shouldn’t be used for other things that will cause it to be exposed to much impact. It’s not even sufficiently strong that it is recommended for countertops, and even less so for floors. Bathroom walls and backsplashes is where you would use this. The advantage to this grade is also that it is cheaper than some of the other more durable grades. Grade II – this rating is more durable than the one above but you’re still not talking about a material that is made to handle heavy traffic, hence why it shouldn’t be used for commercial purposes. It’s fine for floors in your bathroom or kitchen, as long as the traffic it’s expected to be exposed to is considered light. It’s also suitable for countertops. Grade III – got kids or pets, or are you installing flooring in a commercial setting that gets a bit more traffic? Go for this grade instead. Moderate foot traffic and its effective wear will more easily be handled by this grade of material. In residential use this grade has minimal risk of damage. Grade IV – this is for more serious commercial use, and it can obviously also be installed by homeowners. It’s not meant for heavy industrial use but can handle anything else. You’re also getting to a tile grade where you will find that the selection of finishes starts becoming significantly smaller. Grade V – recommended for shopping centers, grocery stores and other places where wear is expected to be especially high. It can even handle the stress of machines and equipment. Did you spill chemicals on it? That too shouldn’t be a problem as long as they’re removed. When the strength of the floor is the factor that it is ultimately chosen by, this is the grade you go with. The main difference that you need to know about for the two materials is that porcelain is more impervious when comparing it to ceramic, although it may not even play a role since the ceramic tile is likely to be glazed anyway. What determines if you are actually looking at porcelain or ceramic is the water absorption rate of the two materials. 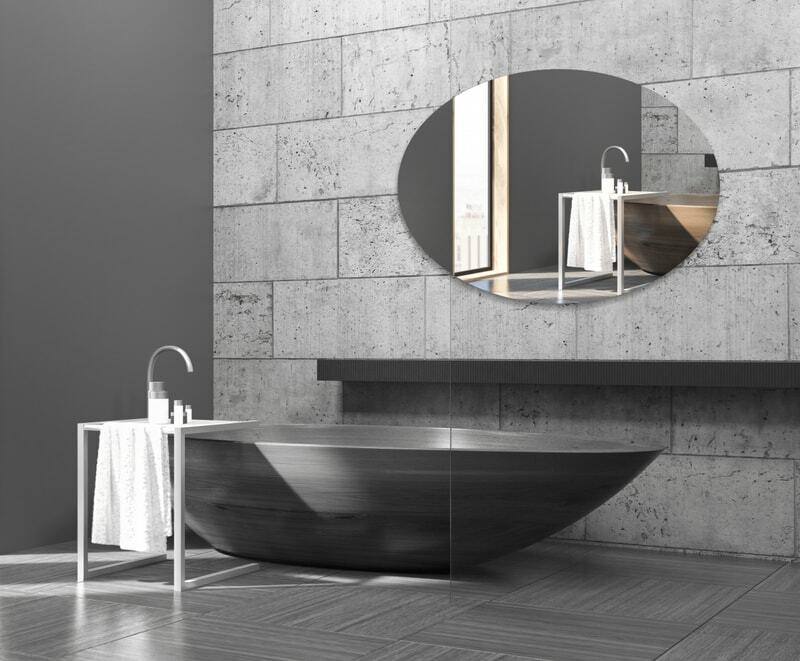 Different industry groups have different definitions, however common for them is that for something to be classified as porcelain it must – by definition – be more impervious, which also makes it more water-resistant. 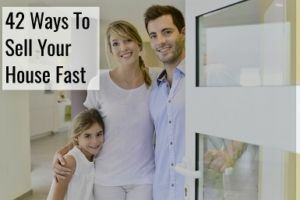 While it may seem like the only difference is the name and their water absorption rate, the fact is also that one type is considerably more expensive. If you go to your local hardware store, you’ll see that the cost of porcelain is significantly higher, and with the fact that it’s very difficult to cut, the installation cost will also be significantly higher too. As there is no actual set standard for what classifies porcelain, the manufacturer can use the standards used by standard groups to themselves determine if it’s one type of tile or another. The fact is that porcelain also belongs to the bigger “ceramic family”, and simply happens to also have a lower water absorption rate too. While there’s truth to the benefits of a lower water absorption rate, there’s also a lot of marketing that has gone into where we’re at today. 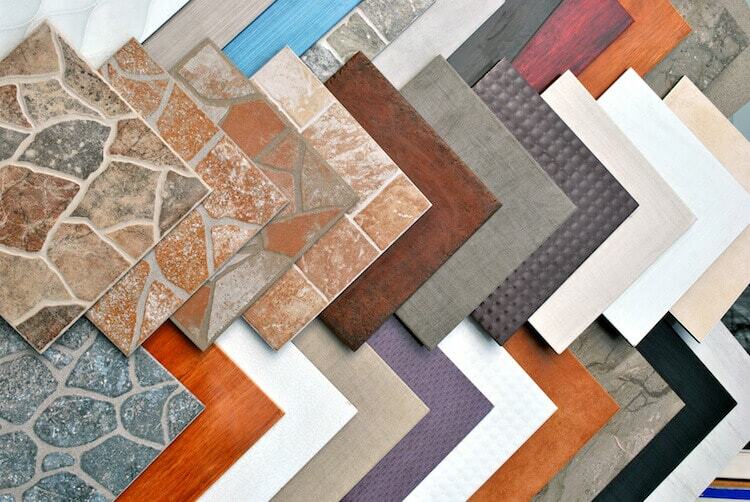 If you’re talking about other types of tile such as natural stone, glass tile or quarry tile, these are materials that are in fact a lot more different than is the case with porcelain and ceramic. The American Society for Testing and Materials (ASTM) defines porcelain as ceramic with a water absorption rate of no more than 0.5%. How Do You Find the Water Absorption Rate? You’ll probably be surprised to find out how the water absorption rate is in fact found, basically determining how the material will be classified, as per the standards set forth by certain organizations. After the tile has been fired in a kiln, it goes on to being weighed. It’s then put into boiling water for 5 hours after which it will be left in water for another day. It’s then weighed again and if it weighs more than 0.5% more than it did before being submerged into water, it’s not classified as porcelain. It’s that manual! The temperatures used for firing the material will usually range from 2,100 to roughly 2,500. If you want to look further into the naming standards, we suggest you take a look at ASTM C373. In order to use the PTCA Certification Mark, the manufacturer’s tile will have to undergo this testing, and the certification is also needed to be renewed every three years to be valid. You might be surprised to find out that the number of companies that had managed to get this certification was only 28, and while a lot of the porcelain is produced by a smaller amount of these companies, it just goes to show that this is still an industry in development where everyone is coming together to create better material. Was it Really Porcelain You Just Bought? With such rigorous testing to determine if ceramic tile should be classified as one or the other, it’s not surprising for you to find out that a lot of the tile that is said to be porcelain might in fact not be. Upwards of 70% of all the purchased tile in the country is not actually produced in the country, and while you may not end up having any problems with the materials despite of it, it simply wouldn’t be classified as porcelain under the suggested standards. PTCA has in fact said that a lot of imported tile is mistakenly labeled. Some of the tested tile from foreign manufacturers showed that some tile in fact had water absorption rates as high as 3%, instead of the proposed maximum of 0.5%. A six-fold difference. Do you want to make sure it’s in fact correctly labeled porcelain that you’re buying? You will need to look for the PTCA Certification which proves that they have been properly certified. The unfortunate thing is that you could find mislabeled boxes, so to combat this PTCA has a database where they publish the values for the tile they test. They can obviously not test all tile, but they’re at least doing a great deal to create more transparency in the industry. Both materials can crack under the right circumstances, when something is dropped on them for instance. However, that’s not necessarily the reason why they’re not good outside materials. there are better outdoor materials that include concrete, natural stone or quarry tile. The problem with ceramics is that you have a material that contains water, and while it may not be a lot of water, when it freezes, the water expands and this causes a lot of stress to the tile, which will likely cause it to crack. The higher the water absorption rate, the more likely it is that the material will shatter as soon as it sees frost. The increased density that helps make the material more durable makes it a material that is better suited for high-traffic areas than ceramic. The through-body composition of porcelain means that it will have the same color all the way through the tile, whereas the color of ceramics will change as soon as you get underneath the glaze. Effectively, it can be compared to laminate flooring. The outer layer looks great but once you get a layer into the material, the story changes. The higher temperature that the material is fired at combined with the longer cooking time just makes a more durable material. How Much Does Porcelain Cost vs Ceramic? By buying ceramic rather than buying porcelain, you’re saving 30% or so in terms of cost of material, which is why it could make sense for you to go with ceramic instead if you are budget-conscious at all. Once you get outside of the premium materials, you’ll start seeing big differences in the cost of the material, and while you want a beautiful looking floor, it also has to be in a price range that you feel comfortable with. There may be occasional times when it’s not the case, but ceramic tile will generally always be cheaper, because in part, it’s cheaper to produce. You probably know that one recommendation if you’re trying to save electricity in the winter is to put on a sweater rather than further turning up your air conditioner. The increased heating simply costs more money to keep running, and the same is the case when the tile is being made in the kiln. Our recommendation is that areas with a lot of custom work should be using ceramic tile instead of porcelain, simply because it’s easier to cut and the installation will be significantly easier as a consequence. While cutting porcelain is possible, it isn’t easy, and you’ll either be struggling with the process yourself, or you will end up having to pay the pro what it will cost to have him do it. On a side note, another reason why it’s also recommended that fiber cement is only installed by a pro is because of how hard it is. 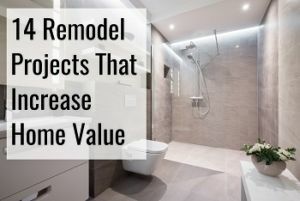 You should obviously always go for the material that you feel like you can afford as well, and while it may look beautiful to install as part of a bathroom remodel, it could simply be out of your budget to have done. When you’re wanting to install porcelain tile outdoors for areas such as your patio or around the pool, there are a couple of things that you need to be looking out for to make sure that your tile doesn’t simply give up on you as soon as the weather changes. This Eramosa beige tile clearly shows the different things you need to be looking for. It should be clearly indicated that they’re meant for outside use – if you get inappropriately labeled tiles that don’t in fact live up to the water absorption standards, you’ll find yourself with a lot of cracked tile very quickly when frost comes around. When you’re not sure whether the tile can handle the outdoors, you can ask the seller and be sure that it has the necessary certification too. PEI rating – make sure you check the rating to make sure it’s sufficiently hard to deal with the wear it’ll be exposed to. Coefficient of friction – this number will give you an indication as to how well the material handles water on top of it, making sure that you don’t slip and fall on it. While hardwood flooring is beautiful and does have its place in the home, it’s simply very inconvenient to install it in places such as the bathrooms and kitchens. The great thing about porcelain is that you can get that wood grain look without getting the maintenance that usually comes with it, and all you have to do is use porcelain tile instead. This wooden look can even be created at a very low material cost. While not being porcelain, you can get ceramic tile that looks like wood for less than $1 per square foot for the material. The only downside with porcelain is that the underfoot feeling will be colder than what it is with wood. There are many different elements that all come together to comprise the installation cost of porcelain tile. 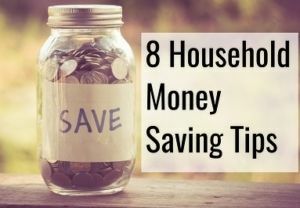 Besides finding the right material to get installed, the cost per square foot to have it installed will also vary depending on where in the country you’re located, since contractors will charge different amounts. The cost to have less than 200 square feet installed averages $1,153, and for slightly bigger jobs going up to 1,000 square feet, the average price is $2,927. There are too many moving parts in the equation to give you an accurate understanding of what the installation cost is without asking competing contractors for quotes. Should you have additional questions, feel free to send them over to us or reach out to a tiling pro through our website at no charge to you.